the play tells the story of 3 women from Indian freedom struggle who have gone to war juxtaposed with contemporary Indian women and the issues they face. 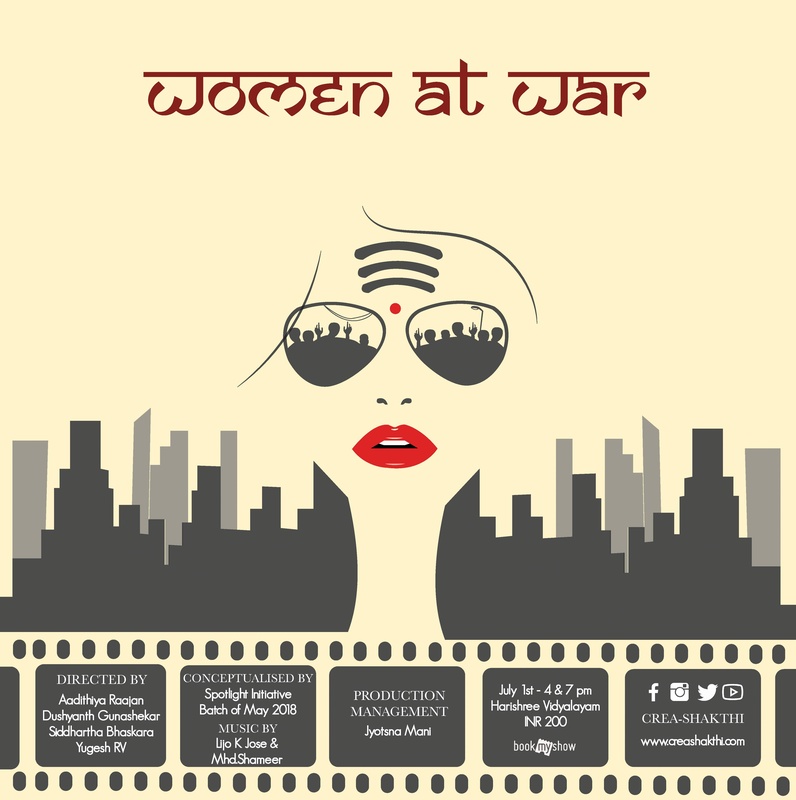 The play focuses on the portrayal of women and using a variety of languages, comedy & drama looks to acknowledge how regressive our treatment of women has become. Runtime: 100 mins without intermission. 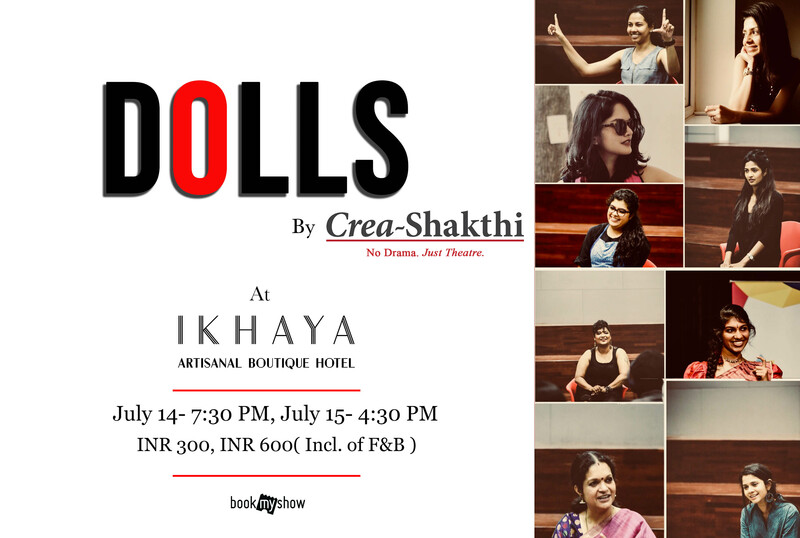 The show is a culmination of 45 days of workshops and rehearsals as part of Crea-Shakthi’s Spotlight Initiative batch of November-January 2018. The Spotlight Initiative is Crea-Shakthi’s experimental & initiation wing open to 15 years upwards – committed to taking those interested & committed yet with no formal background in theatre into the Crea-Shakthi team. Founded in March 2012, Creashakthi started out as a ‘Fund’ by four partners who’s passion for the craft prompted them to grow theatre in the city. In less than three years, Creashakthi has grown into nine partner strong firm, an institution that provides a platform for theatre, offering training and theatre-based learning solutions, curating arguably the largest youth theatre festival in the country, a well-established stand-up comedy wing and offering full-time employment to professionals. Crea-Shakthi aims to turn itself into a community theatre group but by bridging the gap between professional and amateur and bring about industry standards for live performances in Chennai & other cities as well. Crea-Shakthi is a theatre group committed to the cause of taking the craft to the next generation with special focus and attention provided to the training & skill development of heterogeneous groups between the age group 8 to 25. © creashakthi.com | All Rights Reserved.